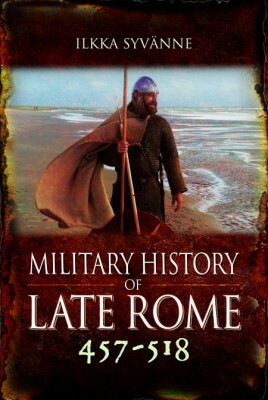 The Military History of Late Rome Volume 457-518 provides a fresh, new look into the events that led to the collapse of West Rome, while East Rome not only survived but went on to prosper despite a series of major defeats that included, most notably, the catastrophic campaign against the Vandals in 468. The Military History of Late Rome Volume 457-518 provides a fresh, new look into the events that led to the collapse of West Rome, while East Rome not only survived but went on to prosper despite a series of major defeats that included, most notably, the catastrophic campaign against the Vandals in 468. The author explains what mistakes the West Romans made and what the East Romans did right to survive. He analyses the role of the barbarian generals and military forces in this and also offers an analysis of the tactical developments during this pivotal period as a result of which the cavalry, so famous from the accounts of Procopius, became the dominant arm in the East. The book also offers a detailed study of a number of battles that have never before been subjected to such scrutiny and puts these firmly into the context of their times. At the very end of this period in 518, East Rome was poised to start its reconquest under Anastasius’ successors Justin I and Justinian I. This book explains why this was possible. DR ILKKA SYVÄNNE gained his doctorate in history in 2004 from Tampere University in his native Finland. He was the Vice Chairman of the Finnish Society for Byzantine Studies from 2007 to 2016. In 2017 he was nominated as an Affiliated Professor of the University of Haifa. He lives in Kangasala, Finland.